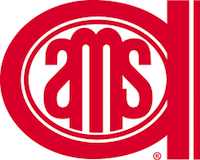 NSF International has joined 35 other companies and institutions as a member of the American Meat Science Association (AMSA) Sustaining Partners Program, which recognizes the organizations and institutions that provide significant financial and logistical contributions for the products and services offered by the organization. “More and more, companies are requiring that their suppliers follow specific animal feed and welfare guidelines. NSF International is a company that can assist in these areas by bringing consistency and compliance to farms, transportation, and slaughter facilities. Our on-farm and processing expertise positions us to support integrated operations and companies. As expectations continue to increase, organizations will need to adjust. Whether it’s ensuring compliance with FSMA rules or meeting customer requirements, NSF International is here to help companies prepare every step of the way,” stated Robert Prevendar, Global Managing Director, Supply Chain Food Safety, NSF International. 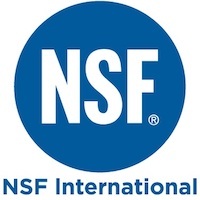 Manufacturers, regulators and consumers look to NSF International for the development of public health standards and certification programs that help protect the world’s food, water, consumer products and environment. The NSF International Global Food Division operates in 168 countries, with an office network, laboratories, and auditors in the field of all major and developing food supply regions around the world. NSF International farm to fork consulting, training, technical, auditing, certification, and testing services operate throughout the supply chain and across all industry sectors. NSF International provides services through local hubs, ensuring the integrity of the service delivery through rigorous quality and management systems and a continuous process of calibration. “NSF International has a longstanding trusted reputation because they pay close attention to the science of food safety. We welcome them as Sustaining Partners and look forward to the inclusion of their scientists within the AMSA community. This expands the opportunities for collaboration in the meat science community even further,” states Thomas Powell, AMSA Executive Director.